Version 1.50 of YouTube Kids started rolling out early Thursday morning. This update brings a really great new feature, and parents are going to love it. It's now possible to pause the watch history of YouTube Kids, and it doesn't affect the rest of your YouTube apps. 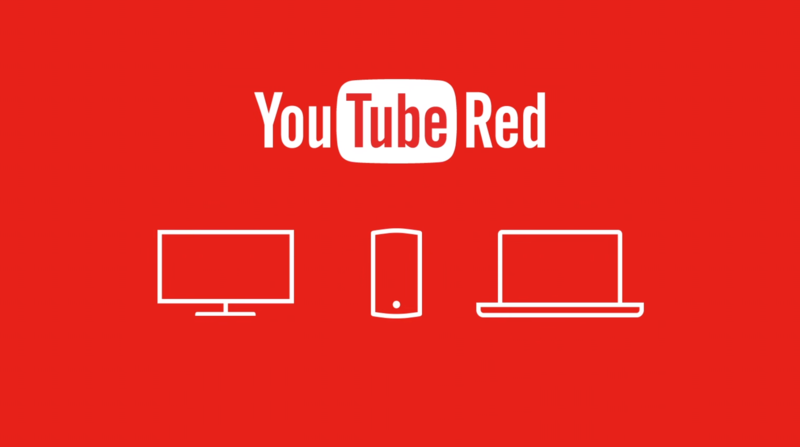 A teardown also shows that parents will soon enjoy the benefits of YouTube Red, as well. As usual, if the update hasn't hit your account yet, jump to the bottom of the post to find a download link. When you sign up for a YouTube Red subscription, you don't just get to watch Google's streaming video service without putting up with ads. You also get access to original programming. 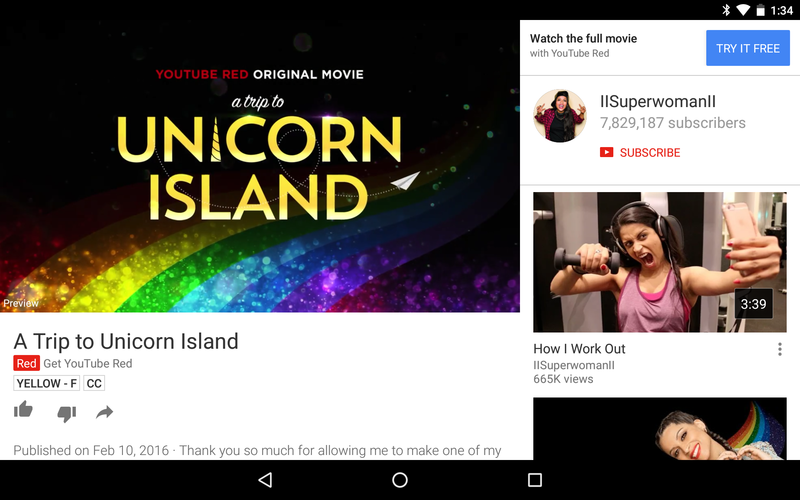 These are shows and movies produced exclusively for YouTube, and they're known as YouTube Red Originals. Google announced family plans for Play Music (and YouTube Red) back in September alongside this year's Nexus lineup. The very competitively priced group subscription was made official yesterday and can be activated through the Play Music app. As it turns out, this isn't just a regular standalone subscription, but it's actually part of Google's new Family Groups that will ultimately bring app and media sharing to the Play Store. Yes, sharing your music subscription means you're also sharing a credit card. A pair of APK Teardowns from both the store and Play services gave away most of the details about how this system will eventually work. Before YouTube Red launched at the end of October, a number of folks signed up to take part in the YouTube Music Key beta. Starting last week, a number of them have been getting hit by a particularly frustrating bug. 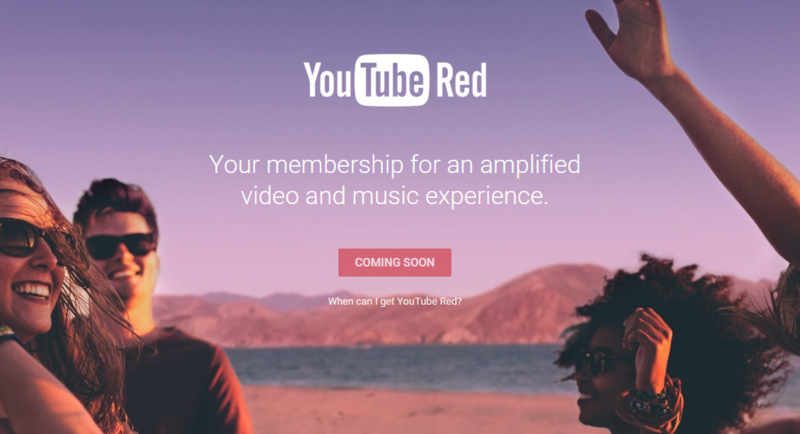 They've been switched to YouTube Red, but they've lost access to their Google Play Music subscriptions. To make matters worse, YouTube Red charged them $7.99 as though everything were in working order. Google quietly unveiled a new YouTube Music app when it rolled out YouTube Red last month, and we've been waiting ever since to see it become available in the Play Store. Well, today's the day. Google has officially announced its new YouTube app dedicated entirely to music. Today is the big day. 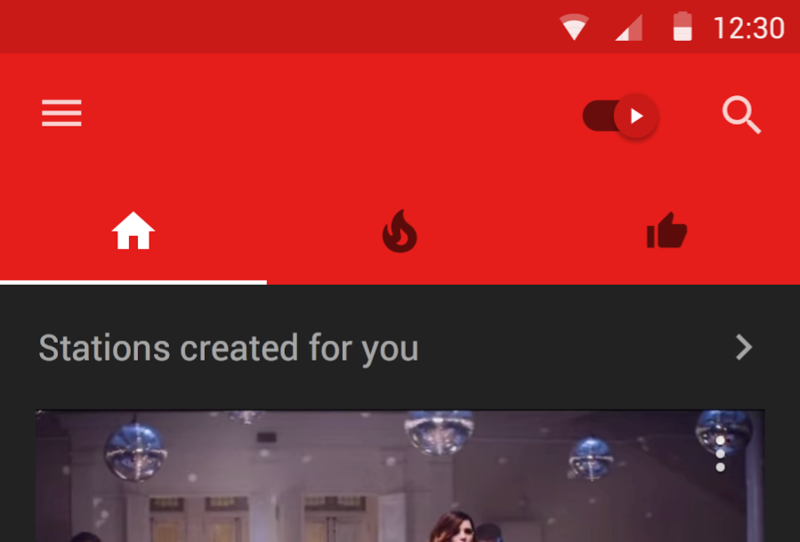 Open YouTube on your platform of choice and you might notice a new logo for YouTube Red. Google's ad-free version of YouTube appears to have just gone live for eligible subscribers. Never again will you be asked to sit through a 15-second pre-roll ad for a 30 second video or click to hide that stupid banner. What a glorious day this is. Starting on October 28th, YouTube Red will let folks in the US start watching all the movie trailers, phone reviews, music videos, epic fails, adorable babies, cat clips, and rants they've been consuming for years, sans ads. In exchange, viewers hand over $9.99 a month instead, or $15 if they have a Play Music family plan. Unless, it turns out, you're one of the early Play Music subscribers. Google is sending out emails to folks who hopped on board in the early summer of 2013 to inform them that when they are transferred to YouTube Red, they will get to keep their discounted $7.99 rate. YouTube Red is a damn good idea, and I'm not even going to qualify that statement. You know why it's a damn good idea? Because YouTube needs to grow up, and step one is getting rid of those garbage advertisements we all love to hate so much. Step two is convincing average, rational human beings that maybe, possibly, they could see themselves in a world in which they might actually pay to more conveniently watch the things and people they really, really, really like to watch. At the moment, and probably for a while yet, basically all of YouTube's revenue comes from advertisements. The day we've been waiting for is finally here—the ad-free YouTube Red service is a reality. Well, technically it will be a reality in a week on October 28th (close to the date we had before), but we've got all the details now. For $9.99 per month you'll never see another ad on YouTube, and it includes a number of other cool perks. Rumors about a premium service option have circulated for years, particularly after the first report of a music-focused streaming subscription surfaced, which ultimately became YouTube Music Key.